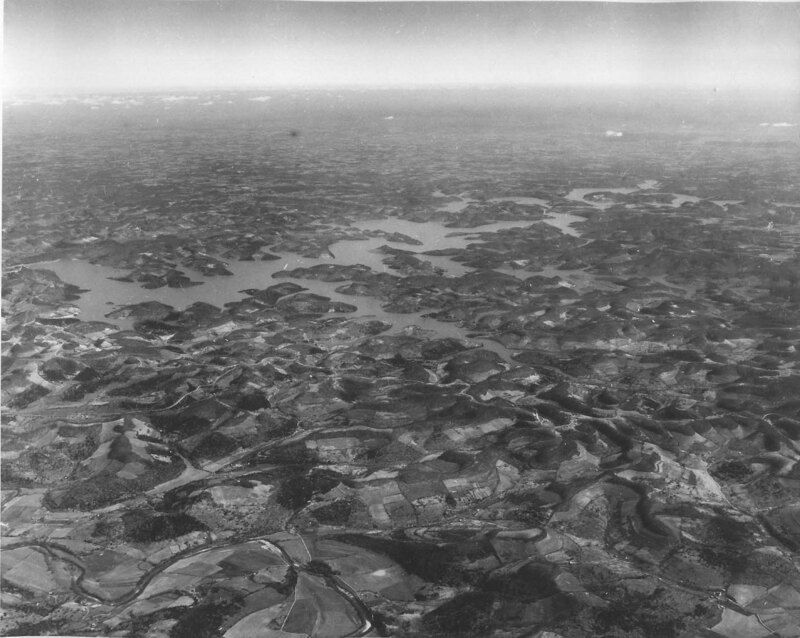 Description: An aerial view of Center Hill Lake as seen from 10,000 feet. The Smith Fork River is seen in the foreground; the Dam is at the extreme left; the Hurricane Creek Bridge is at the middle right. Looking northeast.